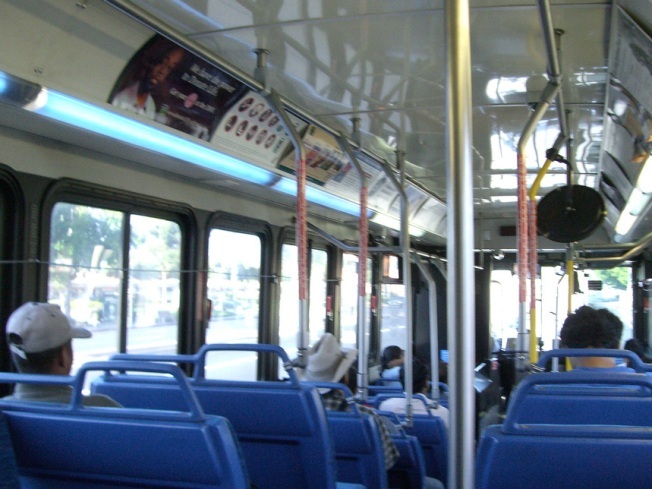 Santa Clara VTA cuts costs but leaves high school students stranded. Santa Clara Valley Transportation Authority light rail service was briefly disrupted this morning when a motorist made an illegal left turn and was struck by a VTA vehicle in San Jose, a police spokesman said. The incident was reported just before 7 a.m. along North First Street, between Rosemary Street and the Interstate Highway 880 on-ramp, VTA spokeswoman Brandi Childress said. Police spokesman Dirk Parsons said a woman was driving north on North First Street and was afraid her car was going to run out of gas, so she tried to make an illegal left turn across VTA tracks to a gas station on the other side of the road. Police had initially reported that there was no collision but Parsons said the car and the light rail vehicle did in fact collide. The woman was taken to a hospital with a complaint of pain, he said. No one on the light rail vehicle was injured. Childress said 33 passengers who were on the light rail vehicle at the time of the accident were offered a bus bridge to their destinations. The VTA train sustained minor damage and was taken to a maintenance yard to be examined. The tracks have since been cleared and normal service has resumed.